On April 21, 2018, the Tulalip Longhouse Committee held a gathering to honor the ones involved in the reconstruction of the Tulalip Longhouse fifty years ago. The longhouse is said to carry the oldest teachings in our land and is a symbol for the many traditions of Coast Salish people. The joyful spirit of the celebration reminded those in attendance of the values of the builders and the kindness and dedication that guided their work. The builders were Herman Williams, Sr., Arley Williams, Clyde Williams, Sr., Francis Sheldon, Ralph Jones, Sr., Tom Reeves, Myron Fryberg, Sr., and Leroy Fryberg, Sr. Lawrence Williams was the foreman. 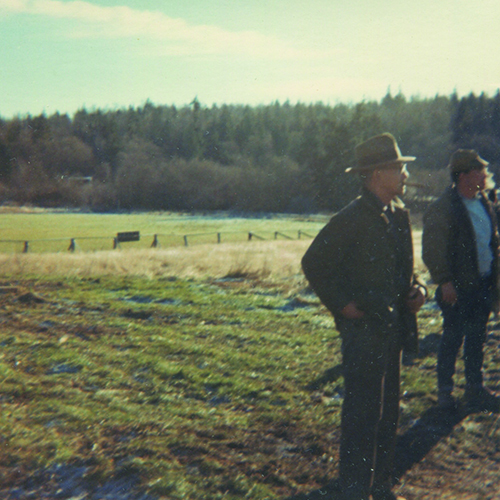 Ralph Jones, Bernie Gobin, and Ron Kona from the Board of Directors made the motions to build the longhouse, set funds aside, and secure the location; and Wayne Williams coordinated the construction work. 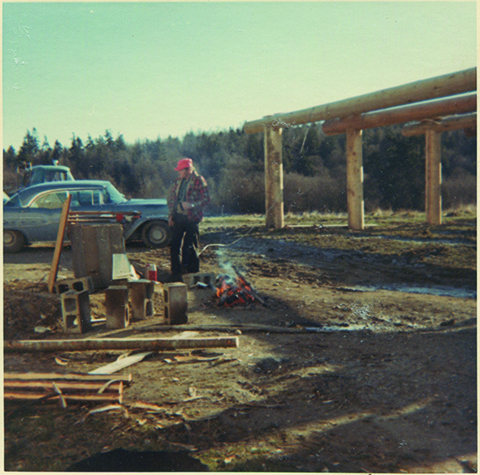 Morris Dan, a Swinomish member and notable longhouse speaker during this period, was the consultant for the longhouse construction. 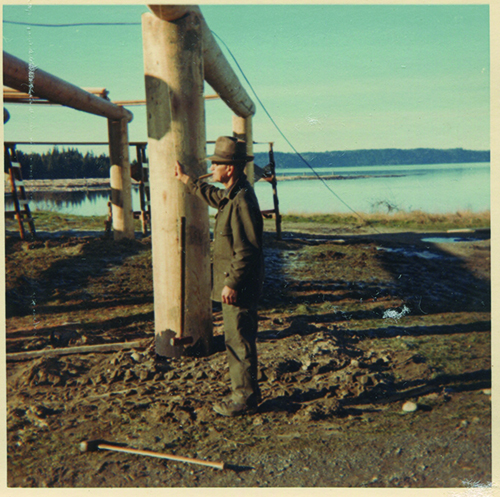 Morris Dan is also remembered as a foremost collaborator in revitalizing the salmon ceremony at Tulalip. Brothers Herman, Arley, and Clyde Williams, living members of the construction team, were recognized with a blanket and a message of appreciation for their legacy and their part in the great heritage the builders brought to Tulalip. Clyde Williams, Jr., accepted the gifts on their behalf, saying one of his childhood memories is his father working on the longhouse building and going to help them. 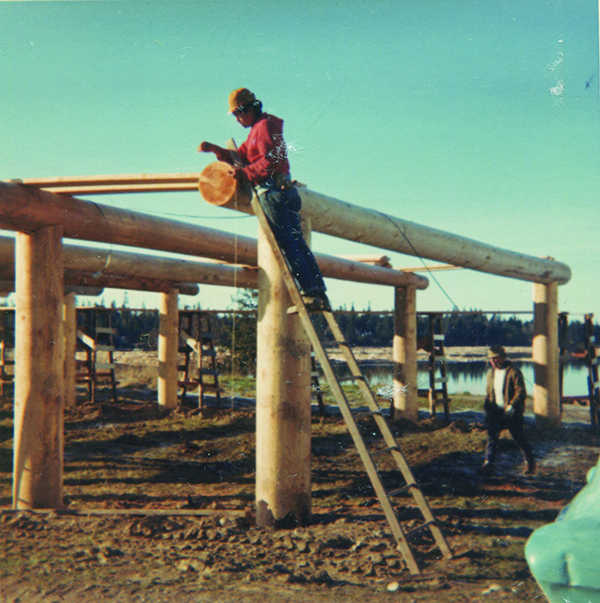 Through the years, many have continued to take care of the longhouse. Myron Fryberg, Jr., a witness to the Honoring Ceremony, thanked the Longhouse Committee and the Tulalip Tribes on behalf of the Williams, Hatch, and Fryberg families for remembering the builders and paying tribute to their work. It was an honor to be there to honor his father. He thanked all the families of the builders who attended on a beautiful sunshiny day, as well as the ones who performed the ceremony honoring the builders. Susan Moses, also a witness, shared the story she heard from her father Kenny Moses about a tribe who had fallen on hard times and didn’t know what to do to take care of their people. One of their elders told them to build a longhouse. They listened, even though it must have been very difficult for them. All the village families were suffering in poverty, but little by little they worked on the building, and soon, more things were coming to their community. When they finished, they invited their neighboring communities. People came in song and dance and prayer, and their families were provided for. It was told to Susan that this village became one of the wealthiest, and it was most likely because they built the home with good hearts and as prayers came, their situation improved. She said she believes that is how it was with the builders of the Tulalip longhouse. Their good hearts were a blessing to the Tulalip community. Marilyn Sheldon reiterated that sentiment. She remembers her father Francis “Francy” Sheldon as a devoted and tireless worker for Tulalip, doing whatever he could in honor of Tulalip and the Tulalip people. He and her mother ensured their children valued the longhouse and the songs, prayers, and medicines of their ancestors. She believed all of the builders had that loving sentiment and care for the Tulalip community. 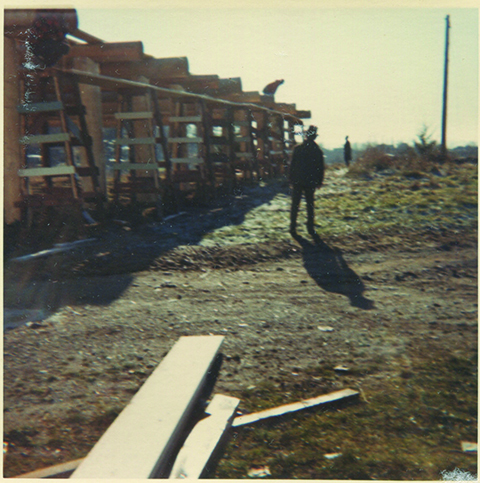 This entry was posted in News, Tulalip News and tagged Longhouse, Tulalip by Kim Kalliber. Bookmark the permalink.